Acquisio, provides industry leading AI-powered software for marketers, agencies and local SEM resellers to scale their PPC offering on advertising platforms like Google, Facebook and Bing. With Acquisio, businesses can replace tedious tasks like launching campaigns, duplicating campaigns across advertising platforms, and managing campaign bids and budgets with automation, machine learning and AI. This lets them stay focused on value added tasks that help move the needle. Pros: The Bid and Budget Management (BBM) feature is fantastic. It allows you to make sure that your campaigns are always topped up, that bids get optimized throughout the day, and that budget is distributed among all available campaigns, if one is underspending and the other one is overspending. Cons: You can create automated campaign reports, you can import and modify campaigns to the tool. Honestly, I find the Google Ads interface much more friendly. For reporting, I create Google Data Studio Reports, which are live, much more dynamic, and free. Overall: I'm keeping my budgets optimized and my campaigns optimized through Acquisio's Bid and Budget Management tool. Overall: I can honestly say "ACQUISIO" is almost the perfect and complete user friendly bid management software solution. Interface in general has always been confusing with platforms however Acquisio's work bench does not have that issue here. Customised reporting is my favorite feature and the support is always second to none! Kenshoo helps to change a lot of information to Google and Bing to create campaigns and ad groups. Kenshoo uses filtering in order to sort out data so it depends if you like it or not. Kenshoo has a great profile optimization tool. Recommendations to other buyers: Manual Bidding Option - Not all customers think the same. Pros: BBM is a fantastic automation that has helped our company scale our accounts very quickly. We also make excellent use of the pacing visuals that can be set up, which allows us to view our account performance at a glance. Reports are also highly customizable and easy to share with sales people and clients. Cons: The site can be glitchy and goes down a lot (but these are usually for updates); these updates can be pretty substantial sometimes so there's often a bit of a learning curve figuring out where things have been moved to, etc. Overall: The BBM software has been instrumental in helping us manage a rapidly growing stable of accounts. Overall: I had evaluated several different platforms to help us run more efficient PPC campaigns and finalized on Acquisio for a number of reasons. 1. Acquisio gave us an amazing "global" perspective of performance. 2. Acquisio was easy to use in adding new accounts and had many connectors to import/export additional data points. 3. 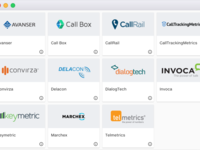 Acquisio seemed to be the most fair in their pricing platforms. We are super happy and have looked at potential replacements over the years and have not found anything that would make us leave. Pros: The reporting platform is very versatile. Cons: Some of the screens take a while to load. Overall: Aquisio is one of the most complete PPC management solutions. The interface is intuitive and easy to get used to once you work with it often. They provide live training sessions on request and have instant chat tech support to resolve issues faster. Their reports are fully customizable and easy to schedule and replicate. Well worth the money if you manage lots of campaigns. Recommendations to other buyers: Request the free demo and try it for yourself. Pros: The thing I liked most is its Bid and Budget Management feature. It is great to keep track of Adwords budget so they dont go over, and it keeps track of your rollover budget for you. Cons: The thing I liked least is when it came to pausing your campaigns or taking them off BBM, you would have a period of inconsistencies and would have to manually change back your account settings in the platform that you are using. Comments: Where Acquisio excels above all others is in customer service. Everyone, and I mean everyone, from Client Service representative to the developers to the CEO, demonstrates that they value the relationship with their customers above all else. And that feels awesome. Pros: The support team is amazing and you get BBM which rocks!! Cons: Haven't found any so far. Overall: After change to Acquisio for Kenshu it has been amazing and extremely easy to use the support team is amazing!! Recommendations to other buyers: It has a lot of potential don't be shy to talk to the support people and get more ideas on how to build reporting or any other topics! Pros: It's really easy to set up and integrate with AdWords. It also has great ability to manage campaigns and optimize. Cons: The pricing model and minimums are a killer. It would be great to not have to have such a high minimum spend for accounts. Pros: The customer service was good, and we were able to set up regular calls with a representative to answer our questions. 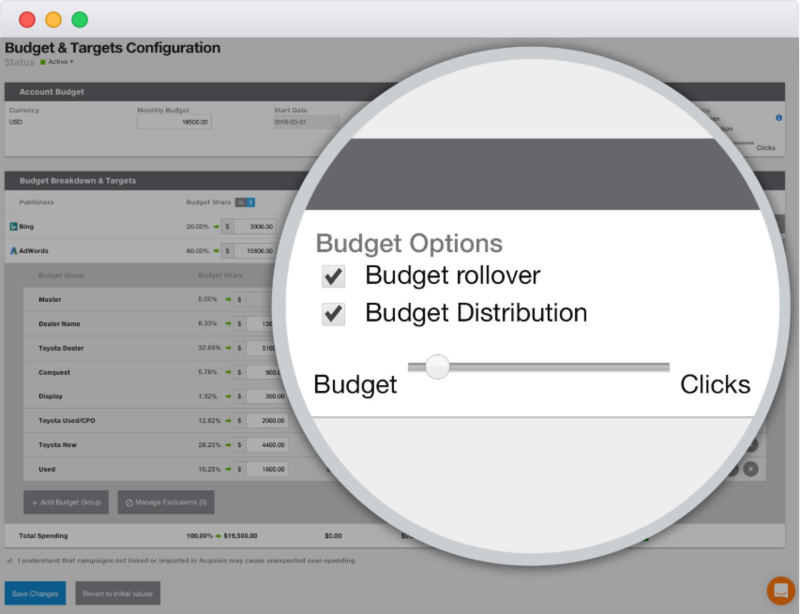 Acquisio does have some nice features that would be useful when managing campaigns with large budgets. Cons: The organization was not great in my opinion. Accounts had to be linked every time a folder was created, and it would have been much easier if you could just link it once. We also had fairly small budgets and as a result, we didn't have enough data to use the CPA bid strategy. 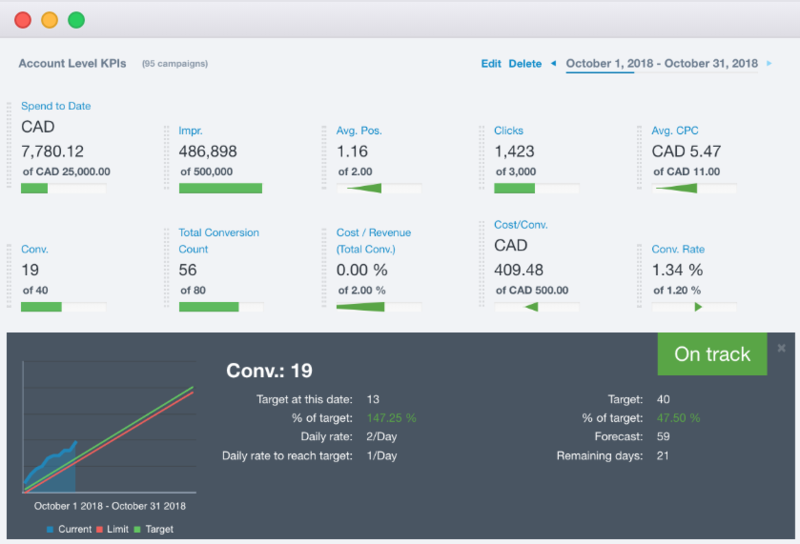 We had to use the CPC strategy even though we optimized our campaigns towards a target CPA. If you have larger budgets, this probably wouldn't be an issue, but for us, it was. Overall: Acquisio has some nice features, but in the end, it didn't work for our company and we had to cancel the service. Pros: I like the simple layout and the ability to select specific date ranges. I like the export options of pdf and excel as well. Cons: I wish it could incorporate Google Analytics as well as compare one set of date ranges to another. While it does include graphs, they are very basic and the metrics that are integrated from our campaigns is very basic, not inclusive of impression share, quality score and other competitive metrics. Comments: Very good reporting platform, rules and automation need improvement. I would recommend this product. Comments: Acquisio is being used to manage and optimize our paid search campaigns for any of our clients. It's being used exclusively by the Search Engine Marketing Department. It integrates Google, Bing and Facebook into one central location to enable proper budget pacing and management for the month. Before working with Acquisio, I had the unenviable task of having a total budget in mind and having to check out the spend progression on Google, Bing, Facebook, by tabulating everything into an Excel spreadsheet. Problem solved. Their Bid & Budget Management Software has been a delight. Very, very advanced factoring multiple signals into play and updates every few minutes. With the dynamic changing budget, I can focus my concentration on other more useful tasks. Editing tool could be better- still find myself using AdWords Editor and AdCenter Editor directly for any ad changes that need to be made in bulk. Pros: The usability and client onboarding. 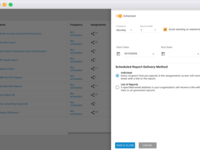 Overall: Acquisio really streamlines our processes for reporting. Connecting your accounts is a breeze and it really give us a holistic view of each campaign. The staff is extremely helpful, although you may never need their assistance because the product is THAT user friendly. If you do, you can expect a fast and courteous response. Recommendations to other buyers: It is of great value and gives great insight into campaigns on a month-to-month/year-to-year basis. Pros: BBM & budget management features are fantastic, and KPI setting makes a great visual indication of whats happening in accounts. Cons: Difficult to find some features we're used to in the Adwords interface. Overall: Definitely a detailed product that takes some time to get used to if youre used to working in Adwords, but its worth the effort to get to know it. Cons: it doest follow simple settings and parameters. Overall: The software doesn't do what its told to do. it has its own mind even though you set the parameters and it goes and does the opposite of what my settings are. I discussed it with my representative but this is the way your stuff works. For example, If I set a range for the bid it will go under my minimum. or not update at all or sometimes overbid. Recommendations to other buyers: im not sure who is designing the software but its off. My name is David Sullivan I¿m the VP of Customer Success at ACQUISIO. I recall meeting you a little over a year ago at a conference here in Austin. Your feedback on BBM is very disappointing to hear. I have reached out to your Account Manager to set up a call between the three of us to further discuss your current experience. I look forward to reconnecting and seeing what we can do to improve your experience with acquisio. Pros: Consolidated reporting functions were useful. Cons: Automated bidding and budget features worked as intended but ended up limiting my client's ad exposure. This in turn limited our company revenue, costing us thousands. Overall: Acquisio sells themselves as using "machine learning" to optimize SEM better than with manual control. While this feature does work, it also has unintended consequences as they have it currently implemented. The downside we experienced is that it ended up costing us more to use this service rather than saving us money to use the service. Pros: At the time of use, I did like the overall look of the reporting. It looked professional and clean. Cons: The platform lacked complete customization. It titled data metrics different than the platforms and at times, made our reporting look generic. We also had a lot of data discrepancy issues during our time using the software. Comments: Acquisio provides tools that allow you to manage and optimize your AdWords and Bing campaigns. You can also build and schedule reports. Plus there is the Bid and Budget Management System that makes budgeting decisions for you and allows for time better spent. Pros - The Bid and Budget Management is a clear pro. It frees up so much time. And it performs better than manually controlling budgets. Reporting is easy to use and manipulate. The workbench allows you to accomplish a great deal, plus you can update AdWords and Bing at the same time. Cons - The Bid and Budget Management algorithm takes time to learn and doesn't respond well to large or sudden changes in budgets. There is so much that it can be a bit overwhelming at times. Acquisio can do a lot! If you have any issues support is there to help! Results are really not that great! They need to concentrate getting conversions not more clicks. Pros: Budget pacing seems to work as expected. It does spend the money and gets your more clicks. Interface is simple to use and easy to understand. Linking accounts is very straight forward. Cons: Software raises the caps of bidding making it more expensive to get clicks. At the end of the month you get more clicks but budgets are all maxed out. No conversion optimization available as the platform only concentrates on getting you the most clicks regardless of the quality of the click. The auto renew contracts and don't allow for cancelations. If you want out you will have to file a dispute with your credit card. Overall: At the beginning while selling you the platform Aqquisio was great. After you are onboarded things change and support is not as great. The biggest problem is that they add in small print that the contract auto renews but they don't send you a formal renewal or a way for you to opt out of renewing (very shady). I got stuck with another 6 months even if I am not using the account and they were not willing to do a friendly cancelation. I had file a dispute. Comments: We are very happy with the Acquisio suite. 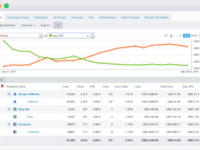 It integrates all your paid search data in one place, allowing you to view and manage campaigns in one source. Changes can be made in bulk across engines. The reporting suite is second to none, with customizable reports that print in a client-ready, white-labeled format. 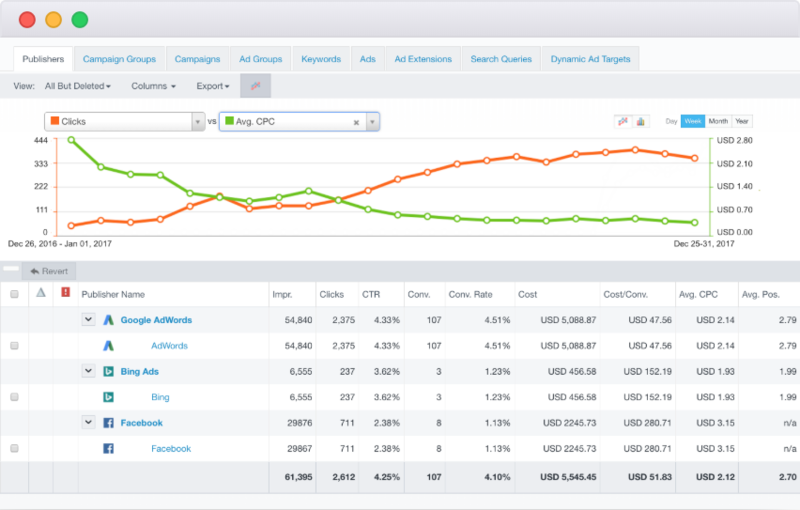 Cons are no social PPC management (although that's coming soon) and some features, like labels, are missing. Customer service can be a bit slow at times as well but they always respond. All in all a great value for the money. Powerful Tool & Great Service! Comments: The service when needed provided by Acquisio is certainly second to none. All team members have a great understanding of the software for search resolves issues quite quickly. Not only do they resolves issues, they also provide feedback and procedures on how to prevent issue for future ref. My favorite feature is easily hands down the web reports. Very detailed and can be customized for each clients needs. To be honest (from experience), I don't think you will find a better product and helpful staff under one roof. Pros: Nothing, I literally did not find a single thing worth complimenting about this product. This was easily the worst user experience I have ever had. Avoid! Cons: All of it! Not even close to intuitive, stalls, breaks, errors, set my bids at ridiculous prices then froze up for hours. How is this even a thing? So bad! I apologize for bad experience you had with our product. I would like to spend a few minutes with you to better understand how you got to this conclusion. We value Your feedback and would like the opportunity to make things right. It puts everything in one place. It manages bids and budgets more efficiently than a human being could, and allows you to be more efficient. They're clearly working to improve the platform. Acquisio's BBM still has some hiccups, and I end up having to manage the accounts manually. Comments: We have been using Acquisio for 3 months now and couldn't be happier with the outcome. The BBM feature has improved our clients results massively. The only complain we have is that the interface could be better. In terms of functionality & Value - it's excellent! Pros: Nothing, if the BBM system did keyword level bidding, then this would be a great product. Unfortunately, after running the campaign with several clients, it was disappointing to say the least. Cons: We got this for the bid budget management system. Instead of keyword bidding as promised, it sets the bids at the campaign level, so all keywords under ALL ad groups have the same bid? There were cases where most keywords had a bid of 0.01c and four of the hundred or so had bids of $40, where normally bids are around $2.50, it was trying to spend the budget using only 4 keywords. Just daft and one of the issues that was never resolved. We lost that client. 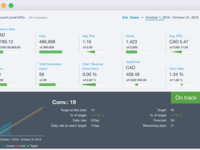 Comments: Great Software to help manage all your SEM Campaigns + saves you money over time! 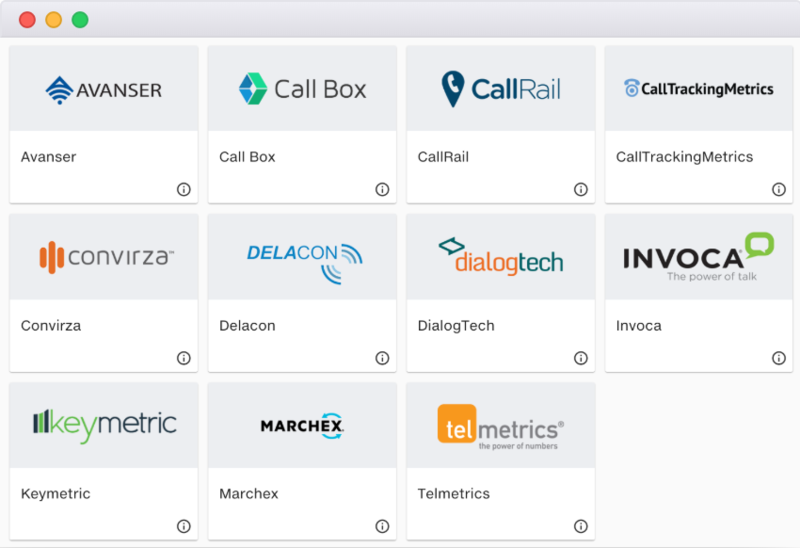 Seems like they consistently stay on top of new industry trends so users can provide the best results for there clients. Comments: I enjoy the aggregation functionality and the BBM optimization tool is great. Reporting tool could be more flexible including better filtering options. It was great to try a new platform. Pros: It was pretty easy to use. We had a few accounts on them to try but ultimately decided that it wasn't necessarily the best fit. Cons: We didn't see a lot of momentum with it and although it was easy to use, it just didn't suit our needs. Comments: Very comfortable to use. Comes with great addons and easy to use. Pros: None - The sales techniques were pushy and would never get a good response from someone like myself. Cons: The sales person decided how others should act and respond to their pushy sales tactics. Pros: Even though I don't use that often, there are great quality of products and easy to use. Also has great features. Cons: When i have had to use there has been slow downloads at times but not a big deal. Some times I like and need the downtime!